In business for over 20 years, the Litchfield Builders team combines high-quality construction and personal service to create lasting living and working spaces for their clients. With services ranging from residential additions, bathrooms, basements, kitchens, and exteriors, to custom millwork and large commercial renovations, they are proud to say they have won many local and national awards for demonstrating excellence in functionality, problem solving, aesthetics, craftsmanship and innovation. They have even been repeatedly recognized as one of the Top 50 Remodeling Companies in the United States in Remodeler Magazine’s Big50 and was listed as one of Inc’s 5000 fastest growing private companies in 2007. Priding itself on being able to deliver “big company” results with “small company” service and size, Litchfield wanted to be able to consistently line-up profitable commercial and residential jobs, but without extending their means and staying within their service area. When Litchfield approached IMPACT, their business was primarily referral-based. At this time, the “sales funnel” and buyer cycle were fairly unique. The cycle began with a Satisfied Current or Previous Customer who recommended Litchfield to a friend, creating a referral lead. This lead got in contact with Litchfield and depending on the project and price sensitivity of the prospect Kevin would follow up with an on-site consultation and quote. The team, however, wanted to build awareness of their brand outside of this networks and attract new clients. In addition, Litchfield Builders’ website was static, acting as an “online brochure,” with many broken links and images. This site was generating very little traffic and had no conversion points. The company’s current site was outdated and the team knew that it needed to start adopting more digital marketing efforts. It wasn’t doing much online and knew that’s where a lot of its buyer personas were doing all of their research. Their site also had no effective conversion points at any stage of the funnel. IMPACT’s work on our website and their creative marketing strategies have made a significant “impact” on our site traffic, leads, and consultation requests. Their creative vision has helped us showcase our residential and commercial remodeling projects for prospective clients, along with inbound marketing strategies to keep a steady pipeline of qualified leads and expand our reach beyond that of our existing clients. 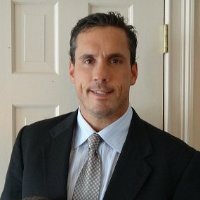 Kevin Ahern President, Litchfield Builders, Inc. Location specific landing pages were also created and optimized for the counties and towns within their service area. Email Marketing was also an area of focus. Creating effective lead nurturing campaigns helped move top of the funnel leads down the funnel into sales opportunities. Currently, Litchfield Builders has improved their organic traffic growth consistently year over year. 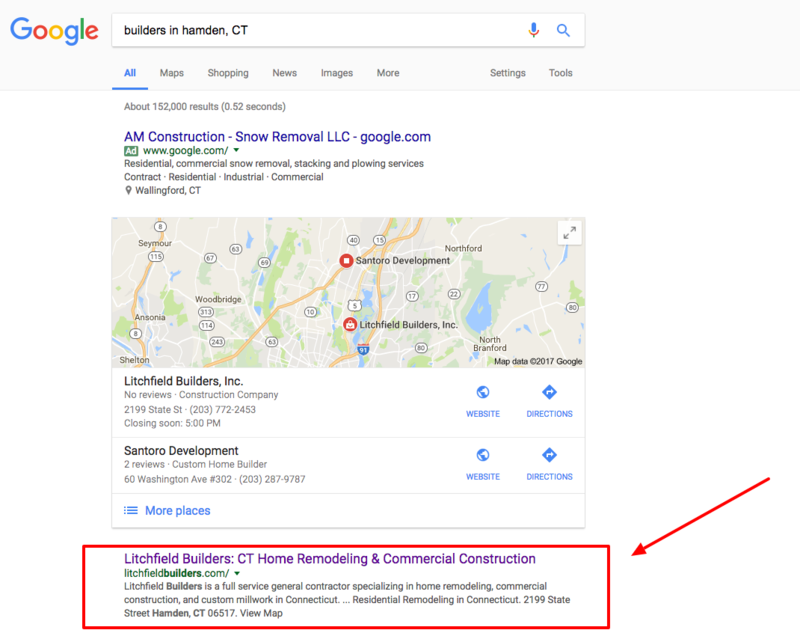 Because of their strong local search growth, they consistently receive several highly qualified leads every month, especially in high-profit commercial projects. Social media has also proven successful, building a strong presence in the community among popular platforms such as Houzz, Twitter, Facebook and LinkedIn. With the help of HubSpot, Litchfield is able to share their quality content with their social following 10-15 times a day, establishing strong and consistent engagement. 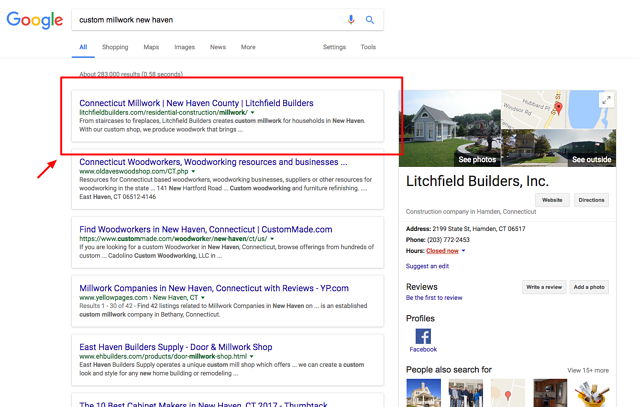 While working with us, Litchfield Builders’ organic traffic has increased by 700% and it’s total monthly visits are 10x than when they started with us. A local business with a strict service area, this is a healthy amount of traffic the organization can be proud of. Litchfield also enjoys consistent qualified monthly and residential consultation requests with its consultation pages ranging from 10-20% in conversion rates. In general, the company’s lead generation has dramatically improved. Their most popular premium offer, “How to Pick a Home Remodeling Contractor” has a 20% conversion rate.